So often I hear that there is no “grid” or “network” for charging electric vehicles, which is a complete falsity. The reality of it is that where ever there is a building, house, garage, gas station, or telephone pole with electricity we have the ability to charge an electric vehicle. Fortunately for everyone reading this I know you have electricity therefore you have the capability of charging at your residence! The problem arises when we want to drive an electric vehicle long distance, which will be close to, or further then the battery range allows. Currently people plan their routes to go near family or friends houses where they can charge. But as the EV market grows this will not be possible for all people. Fortunately a company called “Charge Point” by Coulumb Technology has emerged and is providing the world with public access charging. 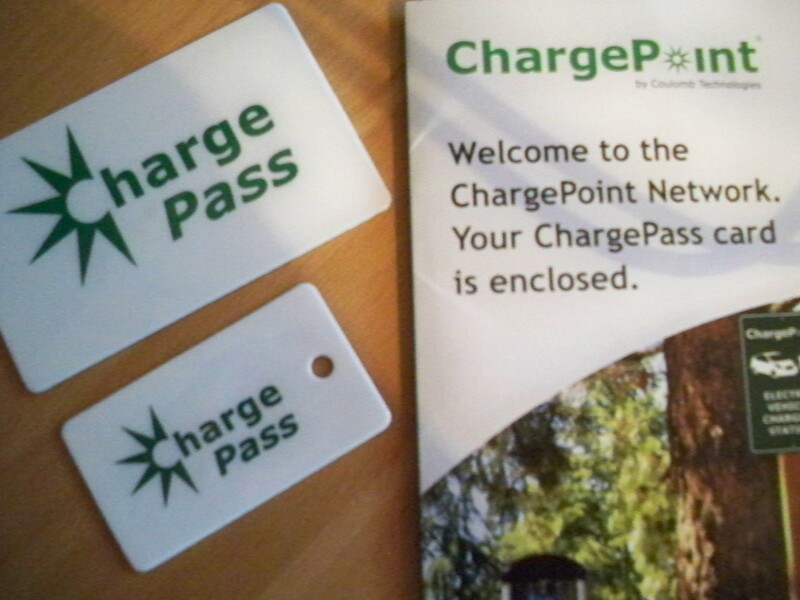 This will help to revolutionize the electric vehicle by giving EV owners a guaranteed known spot to charge if needed. Most all of the charge points will have both level 1 (120v 16amp) using a standard household outlet, and level 2 (240v 30amp) using the J1772 government standard EV plug. Some of the stations will utilize a “fast DC” charge ability which will apply 240-500 VDC at 125 amps! 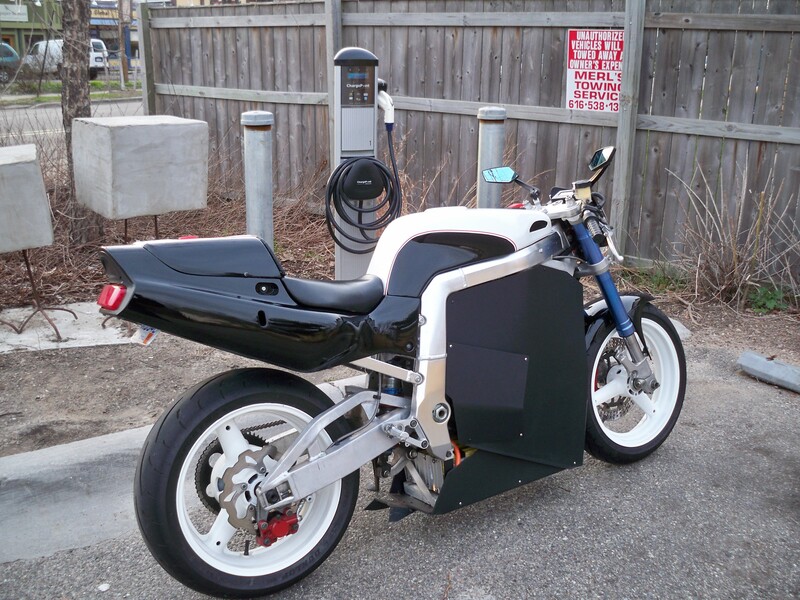 Although this may charge some EV’s very quickly it may not be possible with all applications. 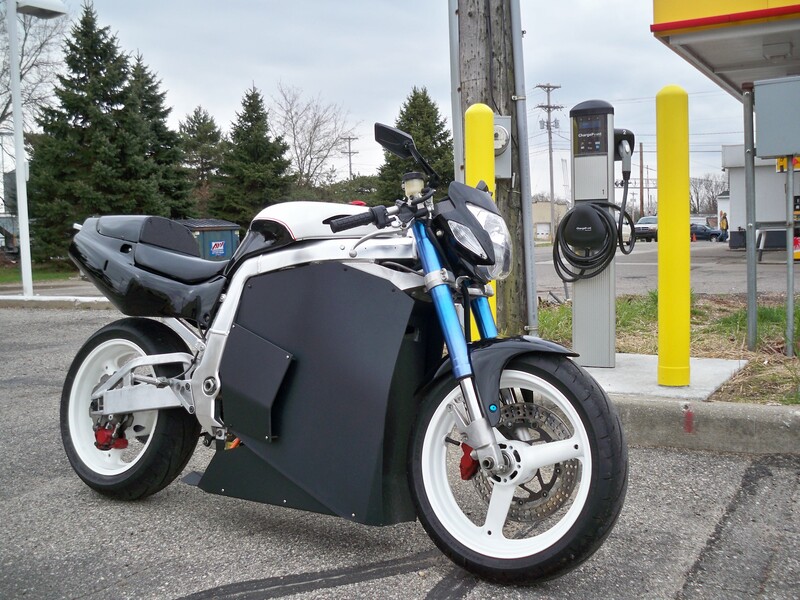 I was surprised to see that even in West Michigan (where EV’s are very scarce) there are many charge points already installed! 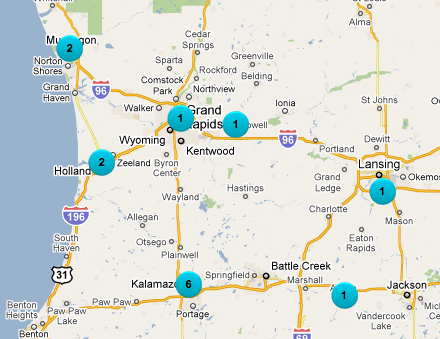 I had the ability to drive to the Lowell Michigan, and downtown Grand Rapids charge point stations. 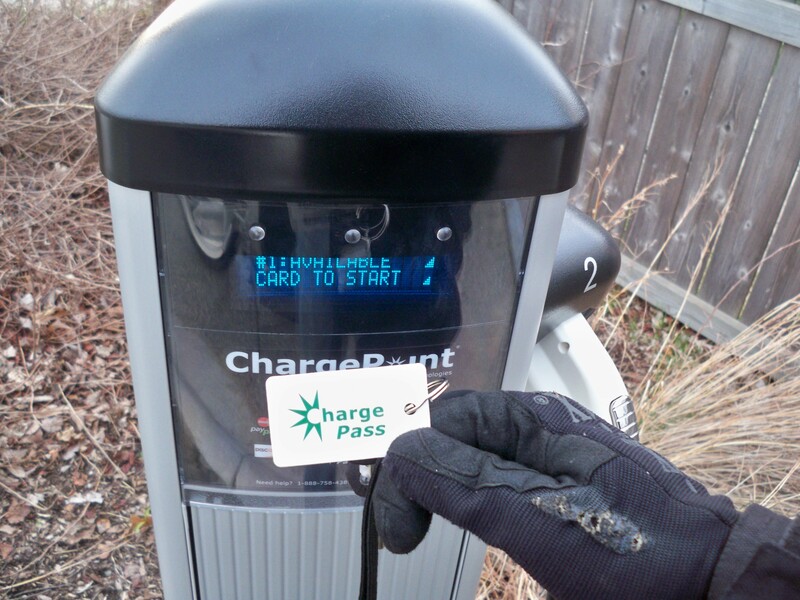 I used my key chain bar-code card to open the level 1 charge door and plug in my charger. The Charge point grid will send you text messages and emails to tell you if the GFI (ground fault interrupter) trips, if you are un-plugged, or if the charge is complete. This helps keep your charging worry free while you’re away. The charge point locations can be found on their website (using a computer or mobile phone app) using the google powered map, it will show whether the station is being used by someone else, and what level charging they are using. The number of stations keeps growing rapidly, therefore you should keep an eye on the website to see if there’s one in your area!